This post is the first in what will be an occasional series on the idiosyncrasies of old houses, their parts, and their décor. Anyone who lives in an old house knows there are many. Today, let’s talk about chandeliers. 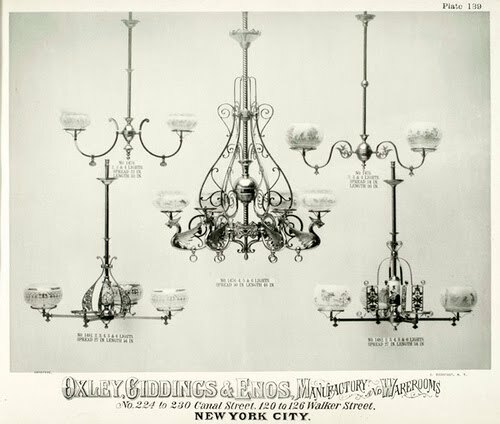 But wait, “chandeliers”, strictly speaking, are lit with candles, even though in today’s vernacular, the term is used for any hanging light fixture. But the Victorians, being ever so precise, invented other terms. A “gasolier” was lit with gas. Gasoliers can be identified as the shade points upward, and is usually wider to accommodate the gas jet. The light, such as it was, was produced by a rather dim, flickering open flame. Here’s a catalogue from the period which shows several gasoliers. Another way to identify a gasolier is the presence of a valve usually on the supporting arm, but sometimes on the burner. In 1891, the gas mantle was invented, which produced a much brighter light. By that time, electric light was beginning to spread, but the public did not have complete confidence in this new-fangled electricity. So, companies began manufacturing “electro-gasoliers” which combined gas lighting with electric lighting. It sounds like a recipe for explosions, but they were widely popular. 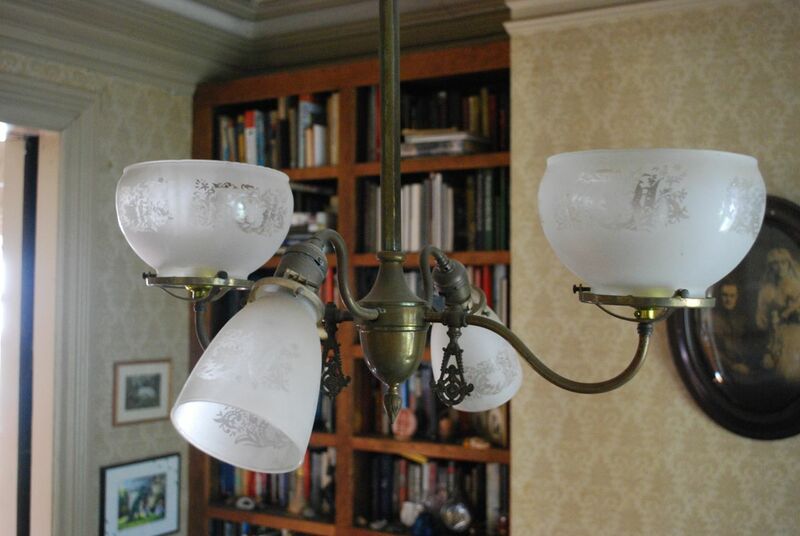 Picture a ceiling fixture with shades pointing upward (the gas lamps) and shades pointing downward (light bulbs work in any orientation, why not point them so they cast more light). 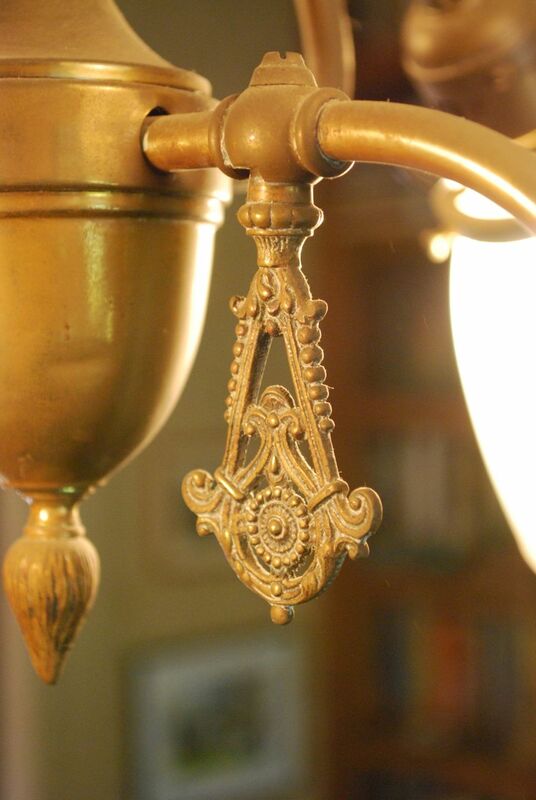 Even today, when we think of a “Victorian chandelier” we’re usually thinking of a fixture with the design of an “electro-gasolier”, even if all its lamps are electric. In this photo of an antique electro-gasolier that has been totally electrified, note that the gas valves are present only on the original, upwards-pointing gas fixtures. Period Electrogasolier that has been completely electrified. Once the public gained confidence in electricity, the gas jets eventually disappeared from homes. (Although many old homes, like mine, still have stubs of (hopefully disconnected) gas pipes sticking out of their walls.) Ceiling fixtures were totally electrified and the word “electrolier” was coined. 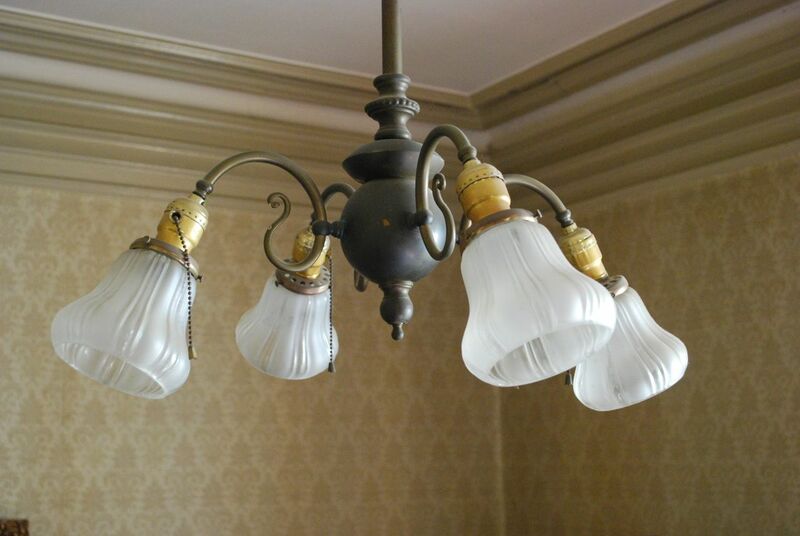 Period Electrolier: All lamps pointing downward, no gas valves. This entry was posted in Old Houses and tagged architecture, old houses, victoriana by mjtierney1. Bookmark the permalink. What a useful post about Victorian-era homes. RESEARCH!